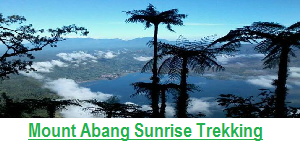 Sambangan Long Trek package is design for you who would like to explore the hidden paradise of Bali, exploring the the nature of Bali, please also note you will visit 7 waterfalls during this tours which all of them will blow your mine and offering you the real Nature Experience. So please make sure you ready for this adventure. 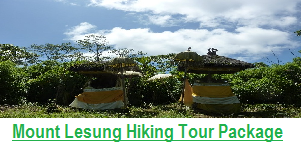 Sambangan Village is located in it’s has beautiful natural scenery and can be used as one of the main points of interest for Bali Trekking. Many tourists who come to enjoy the sights in the village of Sambangan. 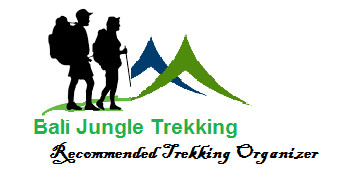 Many foreign tourists come to the village to explore the beauty of the village , even local people also love come to our village – Sambangan, since they said when they come here, they feel very relax and ready to work again. 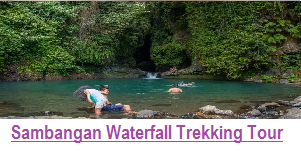 Sambangan Village is an exciting place for Bali Trekking Tours because Sambangan Village has has 7 water falls are available to be watched by a travelers they are: Pucuk, Kembar, kroya, Aling-Aling, Canging, Dedari, and Cemara waterfalls. Along the journey you will find those exciting waterfalls. 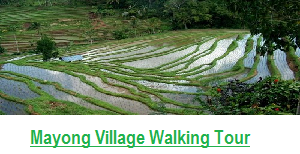 also Sambangan village has very amazing landscape of rice field and still very nature. This package offers you a complete journey to discover the beauty of the Secret Garden. You will start this walking from Tiying Tali Dam. After passing the Muara rice terrace you will discover three secret waterfalls they are Canging Waterfall, Dedari Waterfall, and Cemara Waterfall. 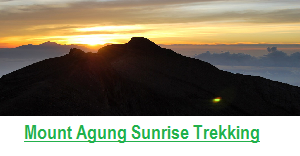 After that you will go downhill through Cengana sub-village. In this area you can see local people life in the village. You also can see how local people process coffee and make traditional medicine from special plantations. 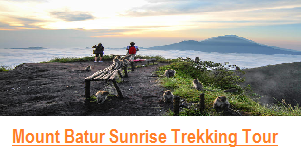 Your journey will continue to the Bantenan Sub-village and you will go down to discover the four waterfalls. They are Aling-aling, kroya, Kembar and Pucuk Waterfall. 07.45 am – Start The trek ( First we will walking thru the rice field, then we will first take you Canging Waterfall, Dedari Waterfall , and Cemara waterfall, then we will continue walking thru the village with amazing view till we arrive at Blue lagoon, here you can swim for 20 to 30 minutes to refresh your body, then continue to visit Aling- aling waterfall , after that we continue to visit Kroya Waterfall, Kembar waterfall, and Pucuk waterfall where we can do sliding or Jumping in the waterfalls. 15.30 pm – The trek finish – then we just back to Hotel or if you would like to make a stop at some nice place during on the way back to your hotel, our driver will happy to arrange it for you.